The much-anticipated Evan Williams Bourbon Experience on Louisville’s Whiskey Row opened its doors to the public this morning. This interactive bourbon tourism attraction celebrates Evan Williams, Kentucky’s first commercial distiller and the namesake of Heaven Hill’s flagship brand. It’s located at 528 W. Main St., and you can’t miss it: The façade features a five-story Evan Williams bottle that becomes three-dimensional in the lower two floors as the neck of a bottle pouring into a really striking 1,500-gallon lowball glass “fountain.” (Before you bother to sneak your flask in, that’s not really bourbon.) Another highlight is the cozy “speakeasy” bar downstairs, which is sure to become a popular venue for private parties. The real centerpiece of the Bourbon Experience is a fully functioning artisanal pot still distillery. 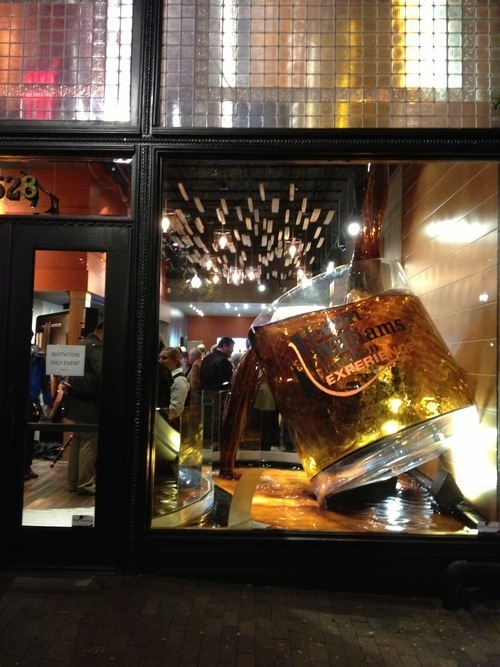 Some people termed the opening “a return to distilling” on Whiskey Row, but that’s incorrect. In its heyday, Whiskey Row was a booming center of bourbon shipping and sales (the “Wall Street of Whiskey,” it’s been called) and as such had dozens of offices and warehouses, but it had no distilleries. That makes the Evan Williams Bourbon Experience the first. At the official dedication last night, Gov. Steve Beshear, Lt. Gov. 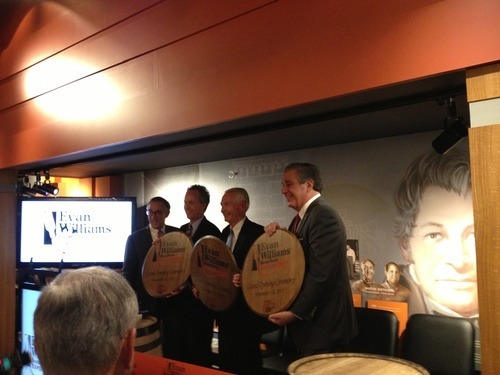 Jerry Abramson, Louisville Mayor Greg Fischer and Heaven Hill President Max Shapira hammered the bung into the first barrel of bourbon produced at Evan Williams. Beshear called the opening “a kind of homecoming” and touted bourbon’s role as a product, an experience and an economic-development engine. The Experience will be the eighth stop on the Kentucky Bourbon Trail tour and the first in Louisville. Heaven Hill is the nation’s largest independent, family-operated spirits producer. Max Shapira spoke movingly of his cousin, Harry Shapira, a senior Heaven Hill executive who worked with Solid Light to design both the Bourbon Heritage Center in Bardstown and the Evan Williams Bourbon Experience and died just last month. “Harry would be so proud,” he said. 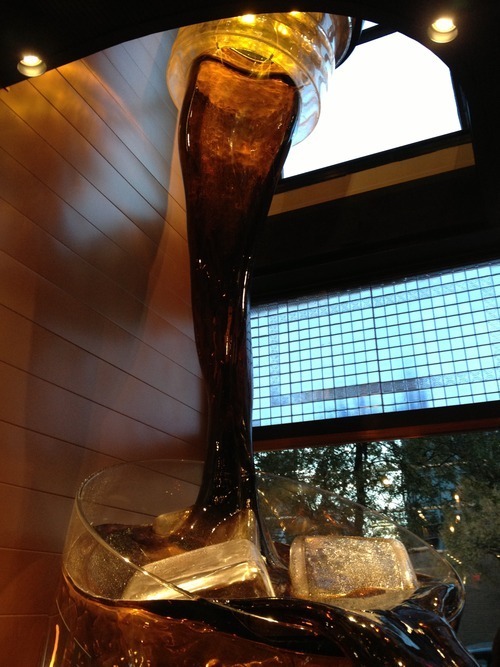 The Evan Williams Bourbon Experience is open 10 a.m. to 5 p.m. Monday through Saturday and 1-5 p.m. Sundays. 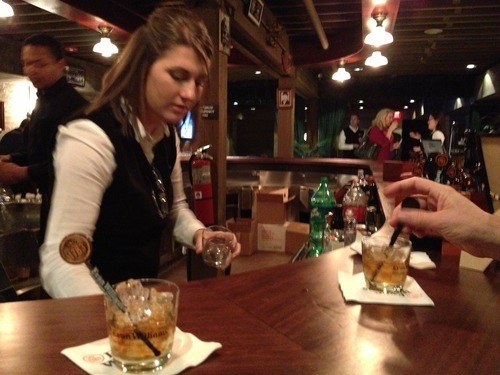 Tours last about an hour and include tastings of two premium bourbons. Admission is $12 for those 21 and over. For more details, click here.